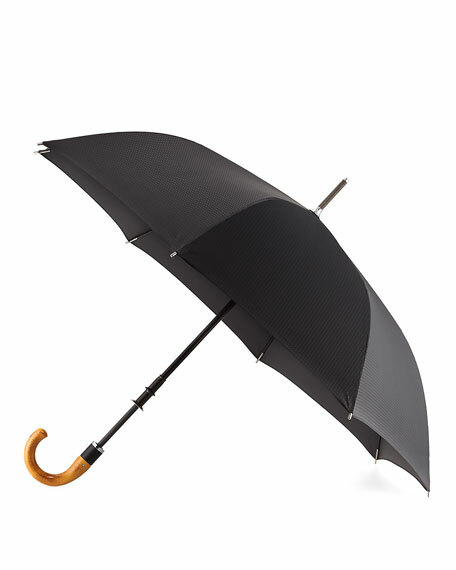 ShedRain "Stratus Chrome" umbrella, handmade from precision components. Ergonomic, steam-formed solid Malacca wood handle with fine chrome detailing. Poly carbon steel, wood, composite fiber. For in-store inquiries, use sku #2232871.